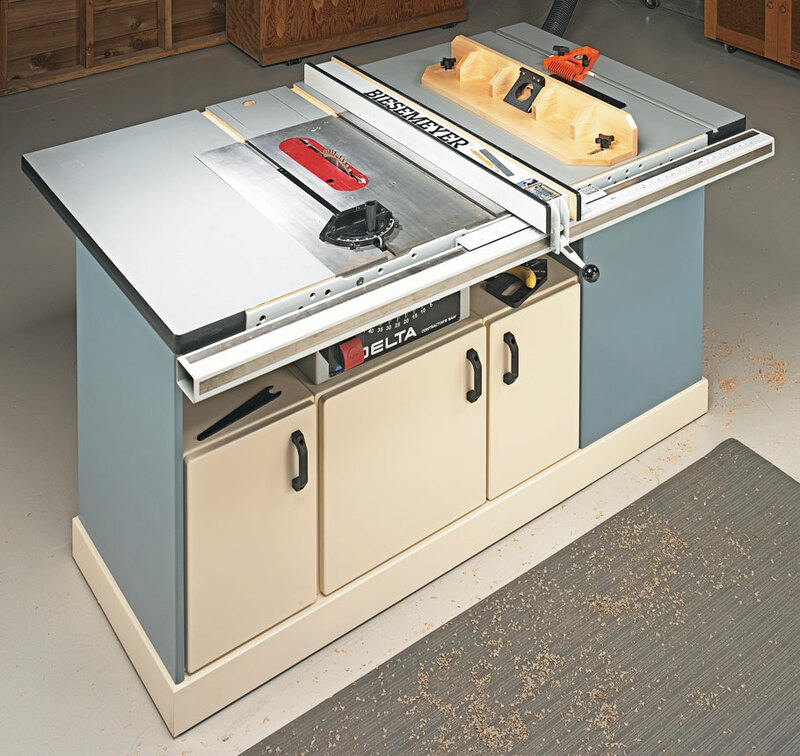 This workcenter is designed around a standard contractor’s table saw and it will accommodate just about any saw and fence on the market. 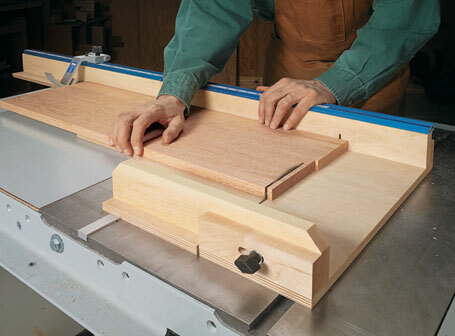 The best part is the huge worksurface that makes crosscutting and ripping even large sheet goods a breeze. 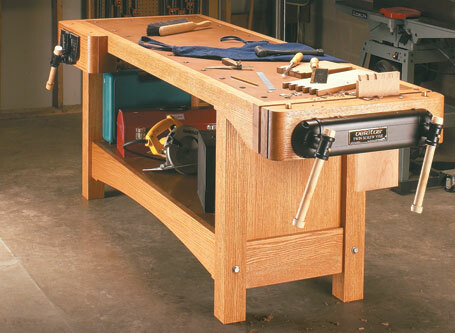 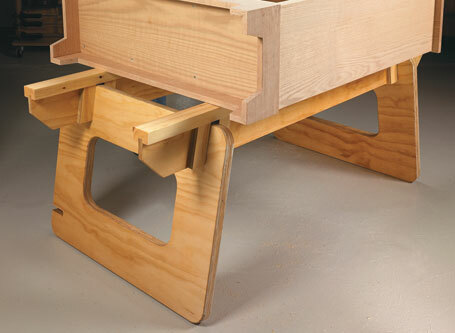 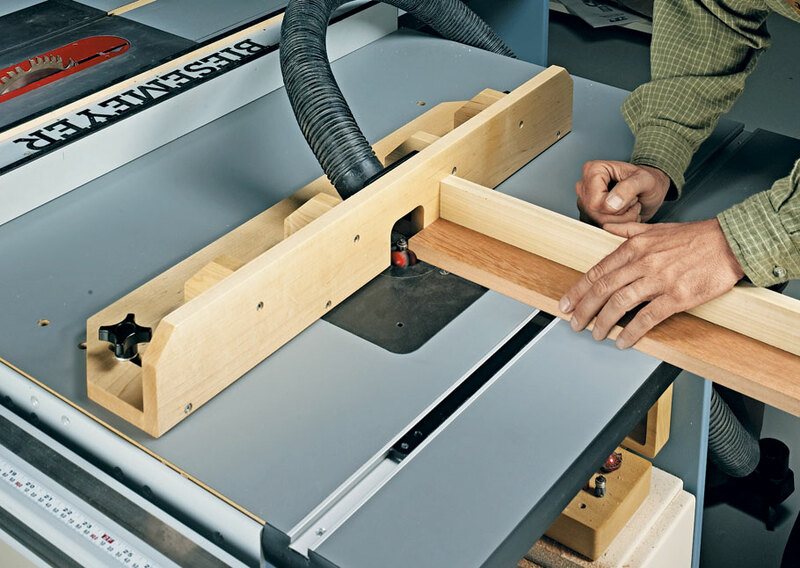 The attached space-saving router table has all the extras: drop-in insert, miter gauge slot, and an easy-to-adjust fence. 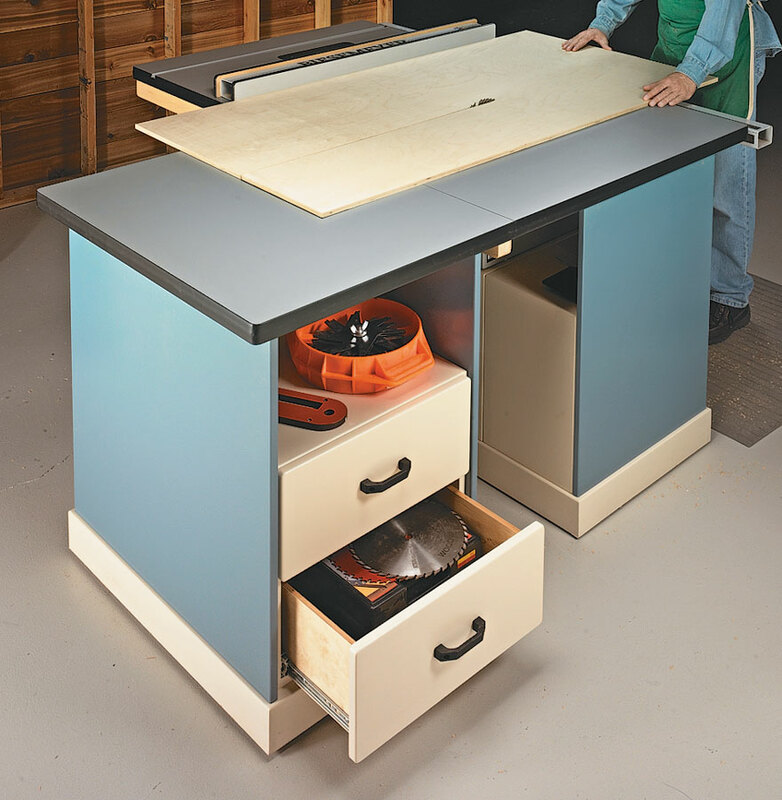 Doors and drawers in the lower part of the workcenter offer a lot of valuable out-of-sight storage. 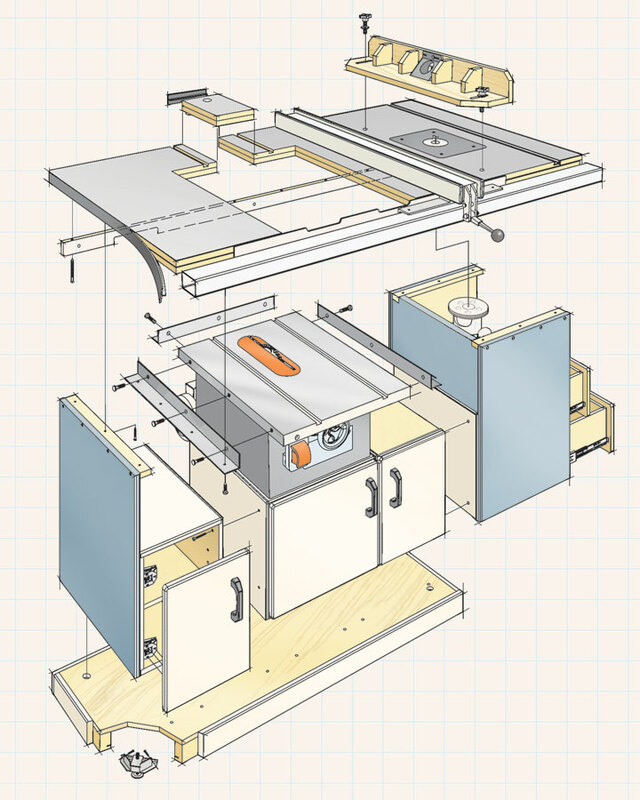 Simple modular casework and inexpensive materials keep the work, and the cost, to a minimum.